Please complete the following fields to receive bids for Cadillac parts! To get quotes for used Cadillac engines at a price that’s right for you, simply fill out the form above. Within minutes, ASAP Motors will connect you to our network of reputable auto parts sellers. Founded more than 115 years ago in 1902, Cadillac was one of the first American automobile manufacturers and was purchased by General Motors in 1909. Known for its sleek and luxurious vehicles, the Cadillac name has become synonymous with sophistication. Cadillac engines are exceptionally powerful, from their iconic Northstar engines to their groundbreaking V8 engines. Although Cadillac vehicles aren’t known for their reliability, their engines’ power, size and torque have successfully won legions of fans. The very first Cadillac engines were either single- or four-cylinder, and in 1915 V8 engines were introduced — Cadillac was the first automaker in the world to offer V8 engines on a large scale. V16 engines were available for a brief period of time in the 1930s, and Cadillac has exclusively offered inline-four (I4), V6 and V8 engines ever since. Several Cadillac engines have been named in Ward’s 10 Best Engines, including those offered in the 2016 ATS, 2013 ATS, 2009 CTS and 2008 CTS. Used Cadillac engines can be tough to find if your engine blew up, and you have no idea where to get another one. You could spend hours or days going from recycler to recycler trying to find the right used engine for sale, but that could be tedious, monotonous, and difficult. You can often find replacement Cadillac motors through a local used vendor, but that can also be a pain. One of the easiest ways to do it is to go through a used motor locating service, such as ASAP Motors, that will connect you to used engines from parts vendors around the country. Our locating service can help you find an affordable Cadillac engines for sale. Just input your information, which typically takes less than 1 minute, and then you will start getting emails, calls, and texts with offers on the motor that you are looking for. It is also a free, no-obligation service, and you can get the information you want without any hassle. Once you put the information in, you just have to sit back and wait for the information to come to you in your e-mail inbox. You can expect to receive replies about the used motors as far as prices, warranties, models, location go. You can make a selection between them so you can find the engine of your choice. You don’t need to go wading through the many options that are available to people at your local salvage yards. You can just have an easy form to fill out and all the vendors will contact you with e-mails or phone. You can make your decision based upon the kind of engine that you want and the condition it’s in and you can have everything under control as far as making that choice and selection. Whether you’re looking for a 1995 Northstar engine or a turbocharged 2016 V6 engine, we can help you find the used Cadillac engine you’re looking for, no matter the year or model. Hello, welcome to the Cadillac Allante engine information page. The Allante was produced in limited numbers and is related to the Buick Reatta…. Q: How much money does a used Cadillac engine cost? A: Depending on the year and model, used Cadillac engines usually cost between $400 and $2,000. Q: What is the biggest Cadillac engine? 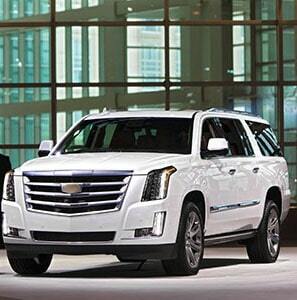 A: Cadillac’s vehicles and engines are both well-known for their generous size. But what’s the biggest Cadillac engine you can buy? To find the biggest Cadillac engine available for sale from ASAP Motors, try searching for engines for a 1975 Cadillac Eldorado. The 1975 Eldorado’s engine was equipped with eight cylinders, an 8.2-liter capacity, up to 400 horsepower and a total size of 500 cubic inches, this engine was nothing short of a behemoth. Q: What is a Cadillac Northstar engine? A: Cadillac Northstar engines are V engines produced between 1993 and 2011. A 100,000-mile service interval for spark plugs and other components — by comparison, most spark plugs need to be changed every 35,000 to 50,000 miles. “Limp home” mode which allowed the engines to run for up to 100 miles with no coolant without significantly damaging the engine. Variable valve timing (VVT), which increased fuel economy. Magnesium cam covers, which reduced the overall weight. Below are three of the most popular models that used Cadillac engines are purchased for at ASAP Motors. Produced from 1958 to 2005, the DeVille is one of Cadillac’s most iconic vehicles. This full-size luxury car was available with either V6 or V8 engines, with the most recent model featuring a 4.6-liter Northstar V8 engine. The Cadillac CTS is an executive car that’s been in production since 2002. Known for its high-end design, superior handling, exceptional acceleration and comfort, the CTS is available with I4, V6 and V8 engines. First released in 1976 and discontinued in 2004, the Seville is a mid-size luxury car that was known for being one of Cadillac’s smaller vehicles, though it was more expensive than larger models. It was offered with V8 engines exclusively, and the 1978 Seville was the first passenger car in America to offer a diesel engine.